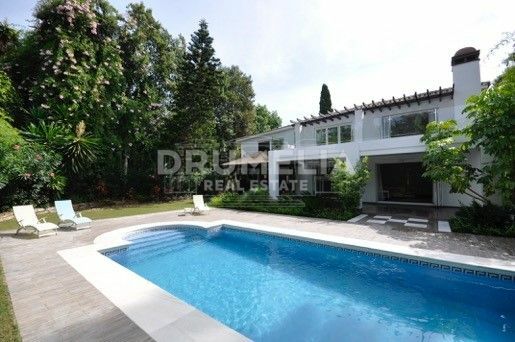 This recently reformed luxurious villa is located in one of the most sought after green residential areas in Nueva Andalucia. 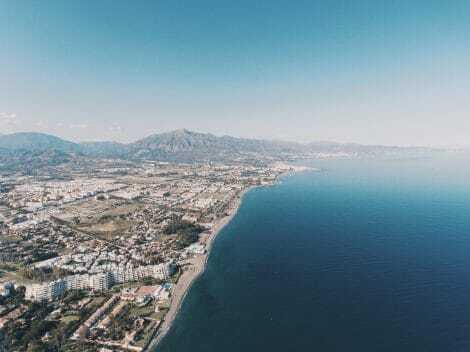 It is a short driving distance away from the excellent shops, bars, restaurants, international schools, beaches, several popular courses of Golf Valley, casino, banks and other services and facilities of Marbella, refreshingly unspoilt traditional town of San Pedro and the glitz and glamour of Puerto Banus. 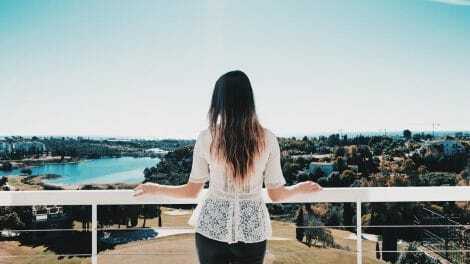 It is also in close proximity to the stunning natural beauty of the Serrania de Ronda mountain range. 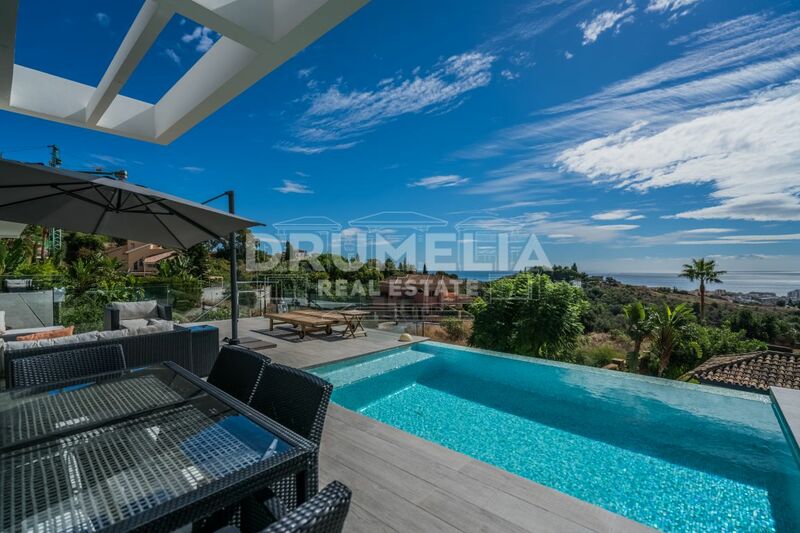 The property is surrounded by wonderful subtropical mature gardens and ideally situated in a very quiet area on a dead end street, close to the Real Club de Golf Las Brisas. 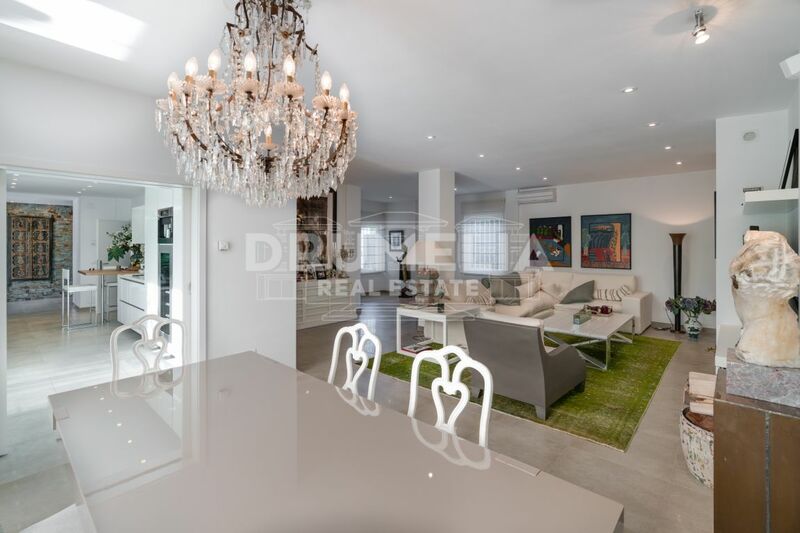 Designed on two floors with classic Andalusian charm and modern style features it has been renovated with top qualities materials and upgraded to higher standards. Bright and luminous living area with salon, dining room and modern kitchen is opening out to the spacious covered porches and terrace, pool area and very private landscaped gardens. The ground level houses 2 bedrooms, a bathroom and a guest toilet. Upstairs there is a large master suite with dressing area, bathroom with Jacuzzi and private terrace. Upstairs there is also the 4th bedroom en-suite, with a private staircase, large enough to be converted into 2 bedrooms. It comes unfurnished which allows you to focus on functional and aesthetic solutions to interior spaces and try your own fantasy-inspired design, or to use the services of professional interior decorators who will analyse your needs and budget, prepare and present conceptual solutions and then manage the implementation of this mutual project of yours. The breath-taking views over the green picturesque surroundings and mountains, incl. iconic La Concha Mountain are complementing this wonderful property. The beautiful scenery and relaxing atmosphere will ensure pleasures and fascinating benefits of the Mediterranean lifestyle.